Summary: A.J. is hoping that sixth grade will be different, but on the first day, things seem depressingly familiar. 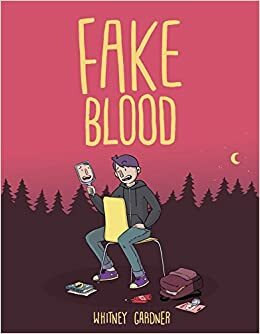 His two best friends, Ivy and Hunter, continue to bicker, leaving him out of their ridiculous bets with each other. Plus, they each had amazing summer adventures while A.J. stayed home and read. His crush, Nia, is back, as dazzling as ever, but apparently unaware that A.J. exists. Their new teacher, Mr. Niles, has a cool British accent, but seems pretty strict. As the year goes on, A.J. tries to become cooler, pretending to be a vampire to impress Nia, who is obsessed with them. This almost proves disastrous (she wants to be a vampire slayer), but in a weird way brings them together. When Hunter goes missing and unsettling truths start to emerge about Mr. Niles, A.J. and his friends and sister have to band together to save themselves. 336 pages; grades 5-8. 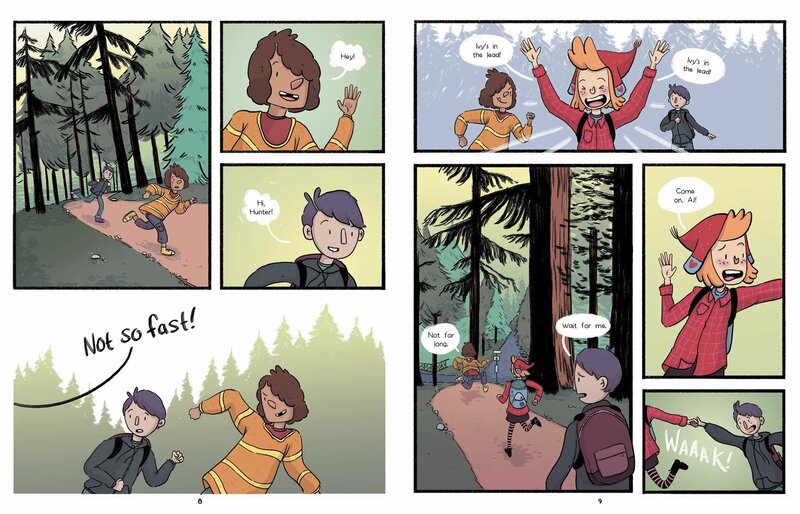 Pros: An entertaining graphic novel with sympathetic tween characters, a fun vampire theme, and good messages about friendship and being yourself. Cons: I kept putting off reading this because it seemed long, but once I started it, the pages flew by and I finished it in a day.